I finally got my peony seeds packaged up that I am donating to the American Peony Society Seed Distribution Program. 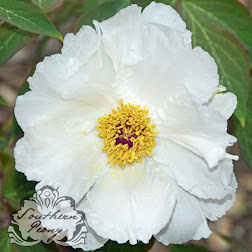 I am donating peony seed from 5 different peony varieties (Peony 'Golden Frolic', Peony 'Miss America', Peony 'Pink Luau', Peony 'Pink Princess', and Peony 'Roy Pehrson's Best Yellow') of my 2014 Collected Peony Seeds. The rest of the varieties I have already planted to see what nature has created. Since I donated 5 varieties of seed, that means I can select 2 packets of peony seeds from other growers for FREE! That's cool! For every two varieties of peony seed you donate, you can select one packet of free seeds. 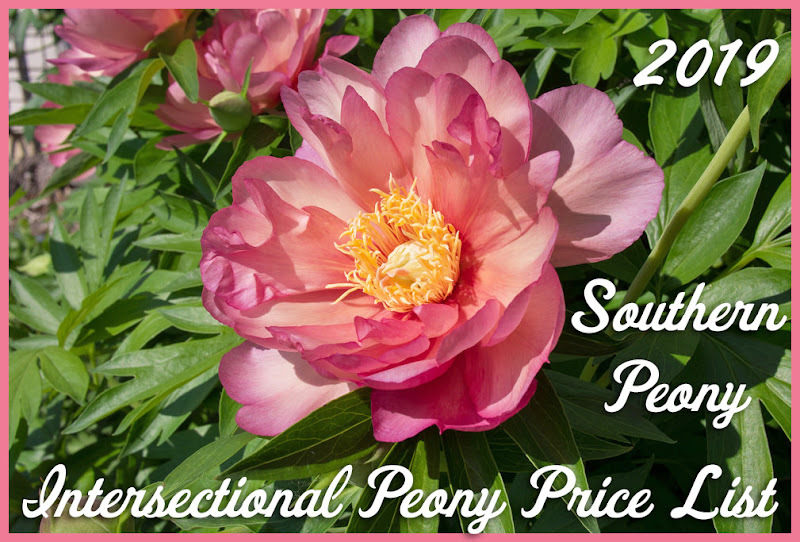 If you'd like more information on how you can get your own free seeds, check out the American Peony Society Seed Distribution Program. 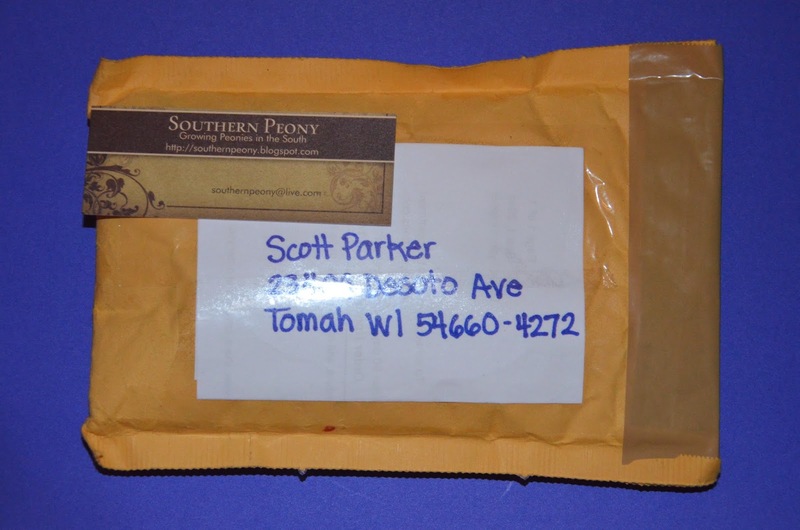 All of the donated seeds go to Scott, the newly elected APS President, who runs the APS Seed Distribution Program. 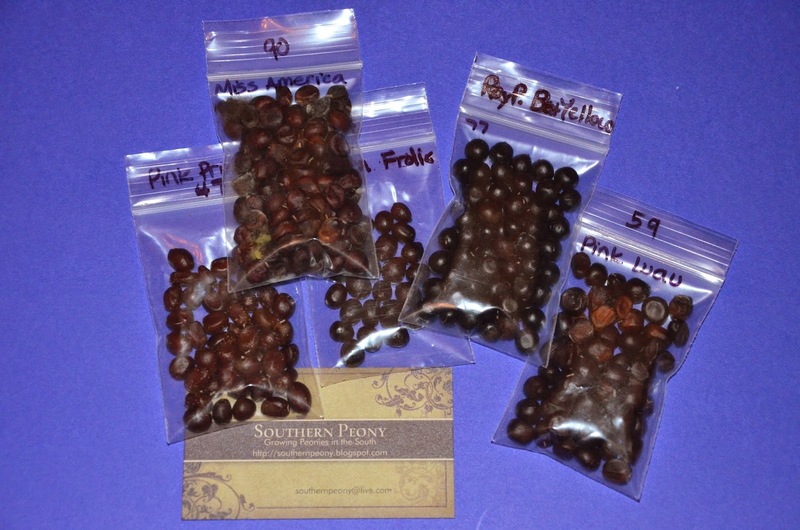 I can't wait to see what varieties of seed will be available from this year's harvest!